Title The Halswell Walking Club cross Halswell Road to continue their walk up Lillian Street. 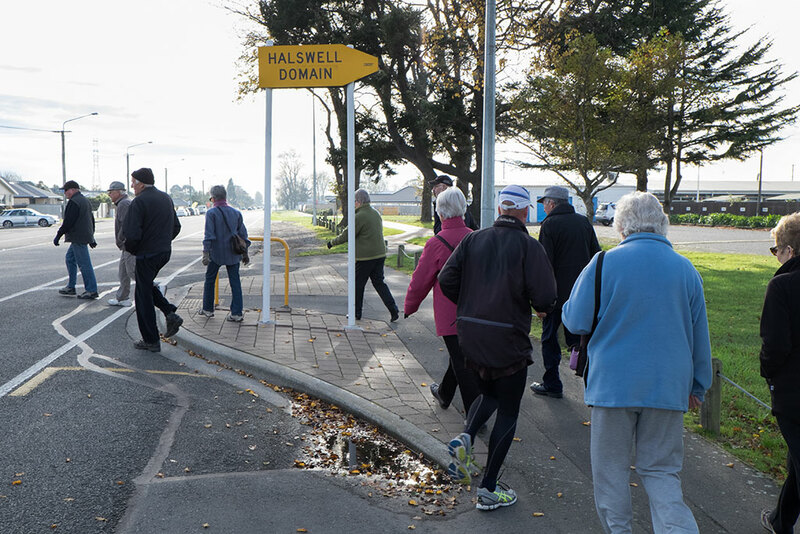 Notes Photographer's note : The Walking Club cross Halswell Road to continue their walk up Lillian Street. 297 Halswell Road. Crossing Halswell Road, outside Halswell Domain. Parent Collection Description The Halswell project is a collaboration between Christchurch City Libraries and the University of Canterbury, School of Fine Arts to create a documentary photographic record of the wider Halswell area. Ellenor Waters, Nicholas Glen and Mitchell Bright from the School of Fine Arts created a body of photographic images of people and the physical and social environment, a unique collection that reflects the diversity of the wider Halswell area in 2015. Photographed by School of Fine Arts interns, University of Canterbury, for the Halswell Project 2015.